I live near the ocean in Byron Bay and love to explore rock pools at low tide. 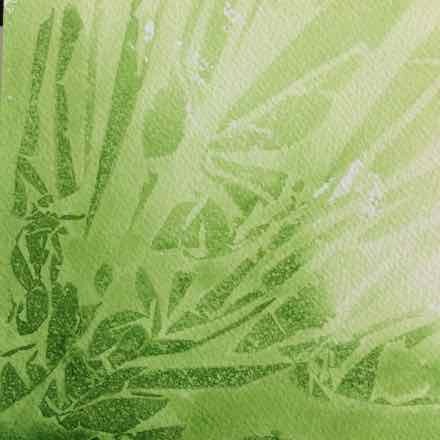 One of my favourite seaweeds is sea lettuce. It is so beautifully green and feels beautiful to touch. 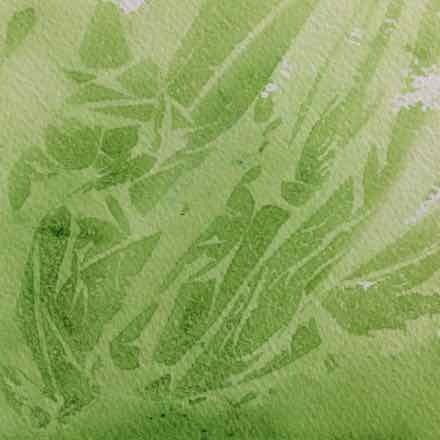 I have used cling wrap on a damp pale green watercolour wash to create the effect of sea lettuce.